Well Care Home Care provides personalized assistance to our clients so they may "age in place." 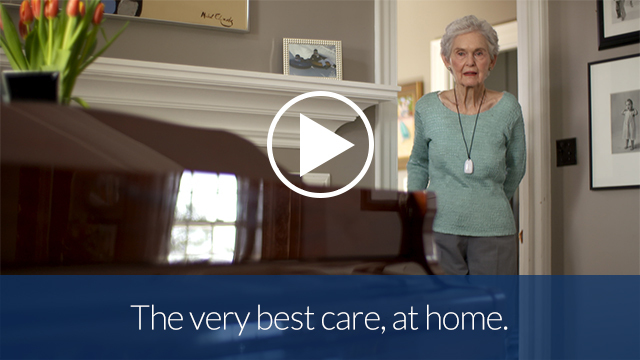 According to the U.S. Census Bureau, more than 7.6 million Americans receive home care. The number is much greater when you consider that it does not include informal care which is care given by a friend or family member. Sometimes simple daily tasks are difficult or impossible to complete as we age and caregivers need support of a well trained staff to assist with these activities of daily living. Well Care certified nurse assistants (CNA) provide personal assistance for activities of daily living like bathing, dressing, and meal preparation but may also extend to assistance with transportation, paying bills, making appointments, and simply being there to provide companionship and emotional support. Geriatric Care Managers will also assist in coordinating such needs as medical equipment, home therapy, private duty nursing, and community referral assistance. The Telehealth Program is an easy to use monitoring system that, when placed in the home, will provide daily vital signs, monitoring and intervention opportunities, which will increase overall continuity of care. One can monitor Oxygen Saturation, Blood Pressure, Weight and Pulse in the home, while a Cardiac Nurse monitors these vital signs daily and contacts the patient, caregiver and physician of any changes. The benefits of Telehealth are, decreased rehospitalization for chronic disease, educates the patient and caregiver to understand their disease triggers and symptoms and affords the patient peace of mind and actively engages behavior change for improved disease management. LifeAid is an Emergency Response System. You simply press the button on your waterproof wrist band or necklace and you will get a live person on the phone. You are never put on hold to make your contact calls. You will get immediate assistance and help is on the way. LifeAid is shipped to the home. You plug it in the wall and the phone connection and push the button. The button can be worn in the shower or bath. There is enhanced range so you can communicate with a Life Station Care Specialist from anywhere in your house and even outside up to 500 feet from the console. Call Well Care for more information today. Doctors and pharmacists agree that taking medications on a set schedule is crucial for managing your health. With the MedCenter System, taking your medications on schedule every day becomes a part of your daily routine. A repeating friendly reminder notifies you of the time, the date and which daily dose to take; for example, "Good morning! Please take your morning pills for the 20th"